Time of registration determines your starting position!!!! banned from pre-entry for the next 2 enduro races. Thursday: Complete race program. Draw for heat starting position. Heat winners to “A”, 2nd to “B”, 3rd to “C”. Winners will draw for starting position in “A”. Five cars move from “C” to “B”, and five cars move from “B” to “A”. Top five in Thursday “A” qualify for Saturday’s “A”, inside 5 rows. Next five qualify for inside five rows in Saturday’s “B” main. Friday: Same as Thursday. Top five in “A” qualify for Saturday’s “A”, first five outside rows. Next five qualify for Saturday’s “B” first five outside rows. 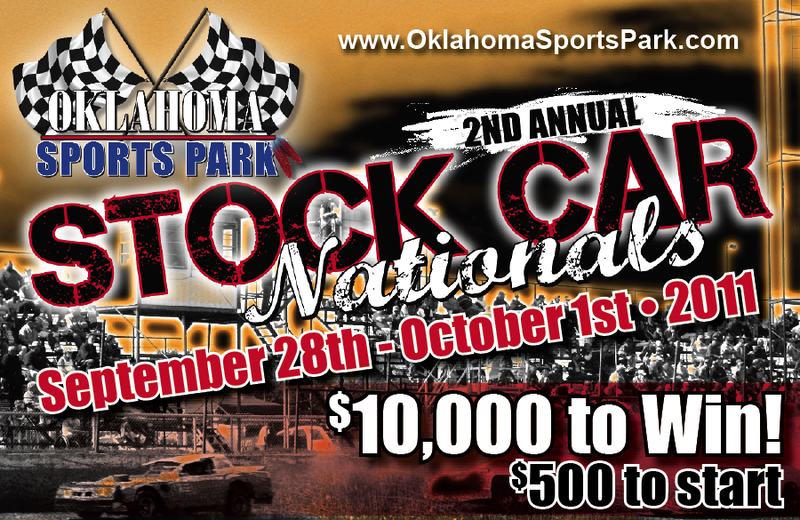 Saturday: 10 cars are qualified for “A”, and 10 cars are qualified for “B”. All other cars draw for start in last chance race. 10 cars move from last chance to “B” and 10 move from “B” to “A”. The top 20 non-qualifiers will race in non-qualifier race. PRO-STREET; MUST WEIGH 2800 LBS. ENGINE RULES OPEN. OTHERWISE ADA-MEEKER RULES. ADA-MEEKER RULES FOR ALL OTHER CLASSES. $10,000 to WIN! $500 to Start. Remember all dates are tentative and subject to change without notice. Pro-Street: Must Weigh 2800 lbs. Engine Rules Open. Otherwise Ada-Meeker rules. Factory Stocks that don't meet Ada rules must run pro-street. NOTE: All Prize Money will be paid on Saturday Night.